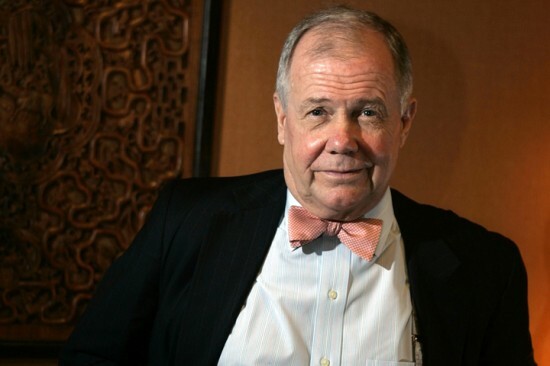 Since the price of gold was again under pressure in recent weeks and is at levels close to 4-month low longtime admirer of precious metal Jim Rogers warned that the correction may continue into the new year, reports CNBC. "Just be careful. There are too many "bull" set investors, including me. But I am very cautious, "says Rogers. "Gold stand corrected - it is happening now 15-16 months - which I think is normal and that adjustment is not possible to continue for some time," he said. Gold price rises over the past 12 years, says Rogers, adding that the metal used as an investment haven, has been sensitive adjustment only once for the whole period - during the global financial crisis in 2008 when gold futures lost 32% . "Most assets experienced a 30 percent correction every 1-2 years even in a bull market. 30 percentage adjustments are normal and yet gold is such a thing has happened only once in the last 12 years, "said Rogers. "Gold in any historical context, it is time to experience a good adjustment." Precious metal recovered some ground on Wednesday after hitting its lowest level since August - 1661 dollars per ounce - Tuesday. Analysts commented that the budget negotiations in Washington have undermined the appeal of gold as an asset of refuge, as more investors returning to shares. Yet there is hope that the cheap money as a result of the program of the Federal Reserve (Fed) to quantitative easing will increase the price of gold. Rogers warns that despite the loose monetary policies of many leading central banks - a trend that would normally induce investors to seek the protection of assets like real gold - India which is the largest consumer of gold in the world can be a risk price of the precious metal, if you decide to buy less. Earlier this year, India's finance minister said that the import of gold is the main reason for the current account deficit of the country, and urged the government to double the import duty on this commodity. 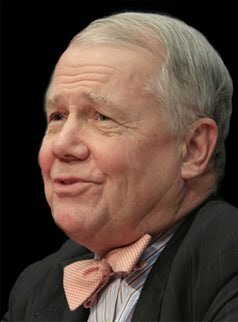 "India has a huge trade deficit and some Indian politicians start blaming namely gold," said Rogers. "If they find a way to limit the importation of gold, if something happens, it will be a big shock for all" bullish "attitude to gold investors and no one can predict how low the price will fall." Rogers, who is currently buying gold and even hedge a portion of its gold assets, said it is still "bullish" precious metal set against the long term. He expects the price of gold is much higher over the next decade. "If gold cheaper, I hope I'm smart enough to buy more. If gold go down much, I hope I'm smart enough to buy more, "he said.